A Literary Odyssey: Book 91: A Room of One's Own and Book Stats. Book 91: A Room of One's Own and Book Stats. I quite adore Virginia Woolf. She is an interesting woman who wrote many different things. She is complex and wonderful, and I am happy that I still have many things left by her to explore and read. 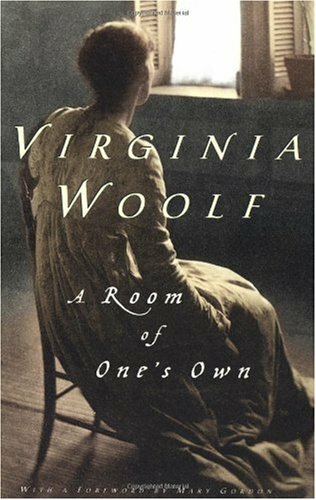 I have read a number of her novels, including Mrs. Dalloway (book 34 on my list), The Waves, Orlando, and To the Lighthouse. She does take some getting used to, but I have come to truly love her writing style. This one is quite different. A Room of One's Own is based on a series of lectures she gave at a few colleges. I am looking forward to her thoughts on writing and women. As someone who has toyed around with writing at various points in my life, I am sure I will find a lot of inspiration in Woolf's words. Plus, the non-fiction will be a good change from all the fiction pieces I've been reading recently. I have this one lined up as well. I was supposed to read it for A Year of Feminist Classics in May, but of course my study load interfered. The Idiot Readalong Post 3 and 4: Parts 3 and 4. Summer Reading and Bookish Plans. A Brief Note on Upcoming Readalongs, etc. Weekly Wrap-up for June 12, 2011: The Week Ahead. Book 90: The Character of Silas Marner. Book 90: Silas Marner and Book Stats. Tolstoy and the Purple Chair by Nina Sankovitch. Book 85: Mary Barton Finished. The Iliad Readalong Post 2: Books 13-24. Weekly Wrap-up for June 5, 2011: Reading Spurts. Review: The Reading Promise by Alice Ozma.